There was a happy story I was going to tell you guys, but it’s taken a less happy turn so now I’m not sure how the story is going to end. 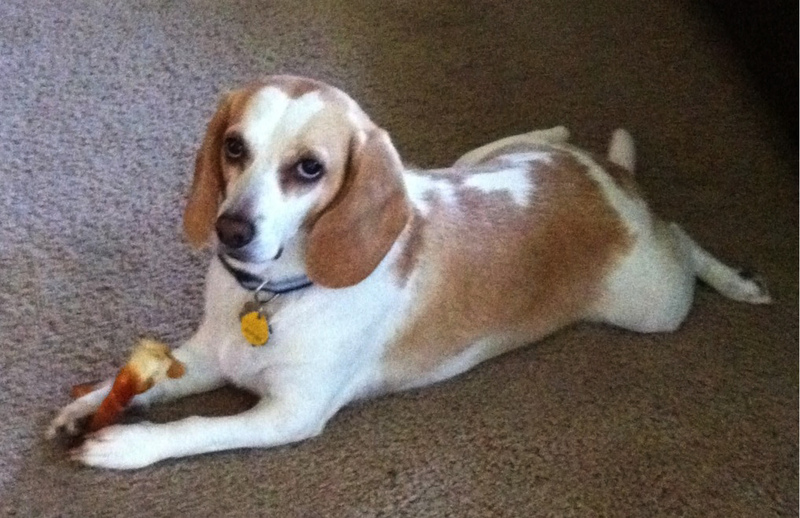 I see a really cute “Lemon” colored Beagle named Gracie. She’s 3 years old and came in seizuring a couple of months ago. Did the usual testing and found out her blood sugar was low. Low blood sugar is not unusual for a 1 pound chihuahua puppy (they just don’t have anywhere to store it), but it is definitely unusual in a perfectly healthy, happy 3-year-old beagle. A few more tests later, and it turns out that Gracie has a rare tumor called an insulinoma. Some little evil part of her pancreas turned cancerous and is shooting out gobs of insulin, lowering her blood sugar and making her seizure. More bad news from the internist: in young dogs these tumors are usually very, very invasive and aggressive. How do you give up on a sweet young dog though? Operative word being young. They decided to go to surgery in the slim hopes of removing the microscopic tumor before it gets a chance to spread. Pancreatic surgery is nothing to sneeze at, we are taught in vet school: whatever you do, don’t touch the pancreas! It’s a touchy organ that gets angry and shoots digestive enzymes all over the place, eating away at all the surrounding tissues. Gracie made it through her surgery, and after a brief bout of pancreatitis she went home and was feeling better than she had in quite a while. I saw her for her annual exam about a month later. She was doing great! We hoped against hope that she had beat this thing. But Monday, she came in seizuring again. Blood sugar was normal, but the owners had given her Karo syrup, which skewed the results. You’ve GOT to be kidding me. This can not be happening. We sent out an insulin level and it’s not back yet. So until then, I’m going to hope, hope, hope that she’s become epileptic. Or is having a weird reaction to the urinary tract infection we found. And NOT that that stupid tumor has come back. What’s Been Happening Around AMCOP These Days? cute! so sad, hopefully gracie has a long and happy life ahead of her.